Aldo Civico is recognized worldwide as an authority in the field of leadership development and conflict management. Over twenty-five years of international experience give Aldo Civico a unique perspective on intelligent and effective leadership. Insightful and engaging, Aldo Civico teaches executives from around the world how to powerfully upgrade their mental game and to develop the character and the skills to become intelligent leaders. From experience, Aldo knows that executives unlock and unleash their potential when they expand their “Inner Core,” leverage the skills they already master, and close the development gap that prevents them from achieving high performance. As a result, Aldo’s clients have consistently experienced exponential growth, adding great value to their organization, families, and life. Aldo Civico works with top executives as well as entire management teams, and his clients include multinational corporations, large family-owned businesses, national governments, and even a few sports and entertainment celebrities. He works internationally, with clients in the United States, South America, Europe, the Middle East and Hong Kong. Ivy-league universities, from Harvard to Princeton have invited him to lecture. The author of four books, Aldo received his Ph.D. from Columbia University in socio-cultural anthropology in 2008. He is a member of the Board of Directors of Abigail Disney’s “Peace is Loud” foundation and of the Association for Conflict Resolution. 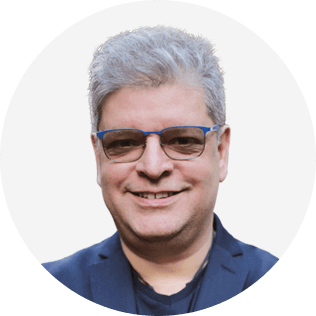 Aldo is an associate research fellow of the Advanced Consortium on Cooperation, Complexity, and Conflict at Columbia University, where he regularly lectures advanced graduate courses in negotiation and conflict resolution. In July 2017, he joined John Mattone Partners as an IL Executive Coaching Master Trainer and the Operations Director for Latin America. Conflict is a common shared experience. It is also a pervasive experience and it is a natural part of our lives. Conflicts can be emotionally challenging. They can trigger disempowering emotions, from fear to anger, from anxiety to withdraw. The spectrum of negative emotions we might experience in conflict are linked also to the behaviors we assume and that become our strategy to confront conflict. But not all behaviors are conducive to resolution or transformation. In this session, Aldo Civico draws on his more than 25 years of experience in international conflict resolution to show how conflict can be turned into an opportunity to increase cooperation, as well as an opportunity for personal growth. In fact, Aldo Civico, who is a master executive coach trainer and a lecturer in conflict resolution at Columbia University, has been involved in facilitating ceasefire talks and peace negotiations with armed groups in Latin America. Developing and honing skills in extreme conditions, has allowed Aldo to develop unique insights and powerful approaches for the transformation of conflict. In particular, the session will address the following questions: how to master emotions when we face conflict? How to maintain a cooperative attitude while going through a conflict? What skills do we need to develop when we are facing conflict? And, since this is a session for coaches, the session will address the question, how can we teach others to master the skills needed to confront conflict in a constructive way? 1. How to turn conflict into an opportunity for personal growth and upgrade the level of our relationships. 2. The key skills to maintain a cooperative approach to conflict, and how to teach them to others. 3. The seven steps anyone can easily implement to transform any conflict. The “U” Coaching Journey: Steps and tools to help a client (and yourself) to tune in with the future that wants to emerge. How do you coach individuals to thrive in a world that the Navy Seals have described as Volatile, Uncertain, Complex, and Ambiguous? This presentation applies the theory and practice rooted in the research and scholarship of MIT professor Otto Scharmer and applies it to the journey of transformation that an individual takes when experiencing a coaching process. The assumption of this approach is that as individuals we are both a complex system and that we live within complex systems. In other words, are life is created and emerges from the intertwine and the interdependence of the systems we are a part of. The “U Theory” emerged from the exploration and journey that Joseph Jaworski and Otto Scharmer undertook, when they focused on innovators and leaders who were able to successfully navigate the complexity of today’s world, and to innovate. In particular, Scharmer concluded that in order to close the gap between our present condition, and the desired future, that wants to emerge, a “U” journey needs to be undertaken. It is a journey that starts with suspending current assumptions and patterns of thought, and then dives into a process of observation and self-discovery, culminates with co-sensing and presencing, and then creates a proptype to experiment with, incorporating the feedbacks as an individual, a group, an organization, an entire society, both creates the future and let it emerge. An anthropologist, a scholar and a practitioner of executive leadership coaching, Aldo Civico has been working with top executive, CEO, influencers, and a variety of leaders to help them thrive in our complex and uncertain world. Incorporating his own insights, and other approached that range from NLP to Appreciative Inquiry, from System Thinking to Communication Management of Meaning (CMM), Aldo Civico has developed a method that builds on the insights of the MIT group and the cutting edge research in social psychology at Columbia University, to deliver an easy to understand and to implement coaching process that helps individuals to transform and connect with their highest goal. In this presentation, Aldo will explain in detail his process. 1. Learn how to apply the principles of system thinking to the coaching process. 2. Learn how to build a coaching process that helps leaders to thrive in a complex, uncertain, volatile world. 3. How to use a variety of tools, methods, and approaches in a mix that supports the journey of transformation of your clients.